We've rated the best places for you to buy, rent, stream and download audiobooks. Welcome to UseAudiobooks.com! This is your one-stop-shop for all things audiobooks. We are here to help you find the best place to easily buy, download and rent audiobooks. Listening to your favourite audiobooks definitely shouldn’t be a painful process! We have you covered with our in-depth product analysis and top audiobook reviews section. It doesn’t matter if you are a complete audiobook newbie, or a veteran searching for your new title. Make sure to check out our page on the best audiobook services in 2018. There we have highlighted all the relevant information that you need to find your audiobook partner. We have taken into account a number of different necessities. For example, the audiobook store offering, free trial offers, the performance of all audiobook apps, monthly cost. Oh, and our overall rating out which is out of 10. Each audiobook website that you find on UseAudiobooks.com has been tried and tested for hours on end. Which should now enable you to easily pick the most suitable one for you. After that, you can listen to audiobooks to your heart’s content. $8.99/month after 30 days. Cancel anytime. If you are a complete newbie to the world of audiobooks then you may be asking yourself – what is an audiobook? Let us explain. An audiobook is simply a recording of text that comes from a book or any other written publication. Each audiobook will have one or more narrators, depending on the type of audiobook. This is who will read the text so that you can listen along. Audiobooks have actually been around for longer than you probably think. They actually date all the way back to the 1930s. Before digital audiobooks, they used to be recorded on cassettes and CDs. Technology has definitely made it easier for us to enjoy audiobooks in 2018. Compare the 8 best services to discover which will suit you best. 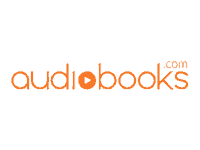 Register for a free account with any or all of the best audiobook services. Pick your first audiobook title and start listening, it’s as simple as that! Which devices can I listen on? Audiobooks can be listened to across a range of different devices. You can listen to audiobooks online through your website browser, Chrome, Safari etc. Once you have registered for an account you can then easily buy and download audiobooks. There is also the option to listen through the services dedicated audiobook app. All of the best audiobook websites also have an easy to use app. These audiobook apps can be downloaded to your iOS, Android or Windows device within a minute. Once you have the application on your phone or tablet you can then easily download your purchased audiobooks for offline listening. This is a great way to save your mobile data! 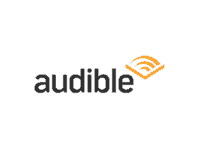 Make sure to check out our audiobook app page to find out which service is best suited for your device. There are a few different methods for listening to audiobooks. Depending which way you prefer will change which audiobook subscription service is best for you. If you want to buy audiobooks we recommend Audible, Audiobooks.com or Kobo.  If you want to stream audiobooks and then remove them once you are finished one of the unlimited services is best for you, Playster or Scribd. You can also rent audiobooks, if you’d prefer to use this method then Downpour would be the best service for you. How you can you buy audiobooks then. Well, it’s actually very straightforward. When we talk about buying audiobooks, it’s simply purchasing a great audiobook from one of the services that we have reviewed. Depending on which audiobook website you go with you will have a different subscription plan. 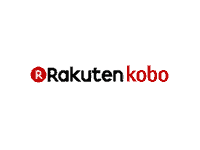 If you decide to use Audible, Audiobooks.com, Kobo or Downpour then you will be using the credit type membership. To buy audiobooks you will exchange 1 free credit per title. If you run out of credits early in the month, you can then buy additional credits if the service allows you to, or else you will have to pay the full audiobook store price. £6.99/month after 30 days. Cancel anytime. Downloading audiobooks is handy for when you want to listen offline. Once you have bought your chosen audiobook you can go ahead and download it in the dedicated app. To do this just hit the arrow pointing down on the audiobook cover. If you are using an unlimited audiobook subscription service like Playster or Scribd remember that all of your downloaded audiobooks will be removed if you decide to cancel your subscription. It is also good to note that having lots of audiobooks downloaded can take up significant storage on your device. If you have bought the audiobook outright it will forever be in your library. Meaning you can download it again if you choose to. Renting audiobooks was more popular before the digital age. You could order and rent audiobooks on CD and then return them via post. Saying that it is still possible to rent audiobooks. Downpour’s audiobook service is probably the most well known for this type of listening. With Downpour you can rent an audiobook for 30 or 60 days depending on the length of the title. Renting audiobooks with Downpour is a good way to save money, especially if you know that you won’t want to listen to it again. Check out our full Downpour review for more information or sign-up now to start renting audiobooks. Downpour has a good offering from lots of genres. They are the only service that allows you to rent audiobooks. This can save you money if you don't want to purchase the title outright. Enjoy 1 credit a month or just rent for a cheap price! Streaming audiobooks can be done through any device that is compatible with your audiobook service. People usually stream audiobooks if they are on their laptop/computer with a strong WiFi connection. This is also referred to as web listening. If you decide to stream audiobooks on your mobile then make sure that you have a sufficient amount of mobile data. Otherwise, you could end up with a hefty phone bill. We advise downloading audiobooks if you are using your mobile phone to make sure that this doesn’t happen. Audiobooks.com has a wide range of titles on offer. Their app is simple to use, you can even purchase new audiobooks from within it. Being able to buy extra credits for the same monthly cost is a great addition. Enjoy 30-days for free when you sign-up! 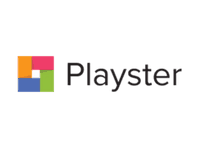 Playster offers unlimited audiobook listening! Great for commuters, and avid listeners. With a vast store too you won't be stuck for which title to pick. New customers can benefit from their 30-days free trial when signing up! The best audiobook websites offer new users a free trial upon registering an account. In fact, 5 out of the 8 best services offer a 30-day free trial! You can see which do below. On top of that, if you join Audiobooks.com, Audible or Kobo you actually get to keep your free audiobook forever. It doesn’t matter if you don’t go ahead with the monthly subscription, your chosen audiobook will stay in your library forever! 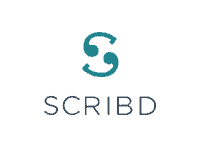 Playster and Scribd also offer free trial periods. They, however, allow you to access unlimited titles during the 30-day free trial. Testing these different audiobook free trial methods can help you realise which service is the right one for you. If you listen to more than 2 audiobooks a month then we would recommend choosing Scribd Audiobooks or Playster Audiobooks. Click on the ‘Start Free Trial’ buttons below to enjoy these audiobook offers! So, maybe you are now at the stage where you have signed up for a free trial but have no titles in your library. Let us introduce you to our page that is dedicated to audiobook reviews. Here you can find our recommendations of some of the best audiobooks of all time. On each audiobook recommendation page, we have given a synopsis of the book, full title details, a short audio excerpt, our score and of course, where you can listen to the audiobook. Each week we will be uploading a new audiobook review to this section. Therefore, make sure to check back to see which title it is we have chosen for that week. We hope that our recommendations make the choosing process slightly easier for you. Please go ahead and leave us comments under each review giving us your opinion on the selected audiobook. As well as giving you full reviews of our favourite audiobooks we also created genre-specific lists. We have outlined where you can listen to these titles and a short description of each. Check out these dedicated pages below and feel free to comment with any additional audiobooks that you think we should have included. When we’re not listening to audiobooks, we are reading about them. That’s why when we get chance we write these articles and tips on all things audiobooks. Check out our dedicated articles page to see each post in chronological order. You might have also heard the following less commonly coined phrases, abridged and unabridged audiobooks. The difference between the two is simple. Unabridged audiobooks are the full-text version, word for word, whereas abridged has been edited for a shorter listening time. Audiobooks vs Reading, should this really be a debated topic. Here at UseAudiobooks.com we like to have our cake and eat, and why not? What we mean by this is that we still enjoy reading books whether that’s paperback or on an e-reader. Just because we still read books shouldn’t mean that we aren’t allowed to listen to audiobooks. We believe that you can still thoroughly enjoy a story, even if it is being narrated to you. In fact, if the author plays the narrator too then this just makes for an excellent production. Listening to audiobooks offline is extremely straightforward. All you have to do is select your chosen audiobook, then find it in your library on your handheld device. In the audiobook app, you will then see the download button when viewing the title. Hit that button when you have WiFi, and then depending on the size of the book it will be downloaded within seconds. As simple as that, now you can listen freely to your favourite audiobooks offline! What is the best device to listen to audiobooks with? Of course, there is no definitive answer to this question. To be able to enjoy audiobooks whenever you like, you just need to find an audiobook service that is fully compatible with your device or devices. Audible or Audiobooks.com are definitely the safest option, especially if you are Windows user.